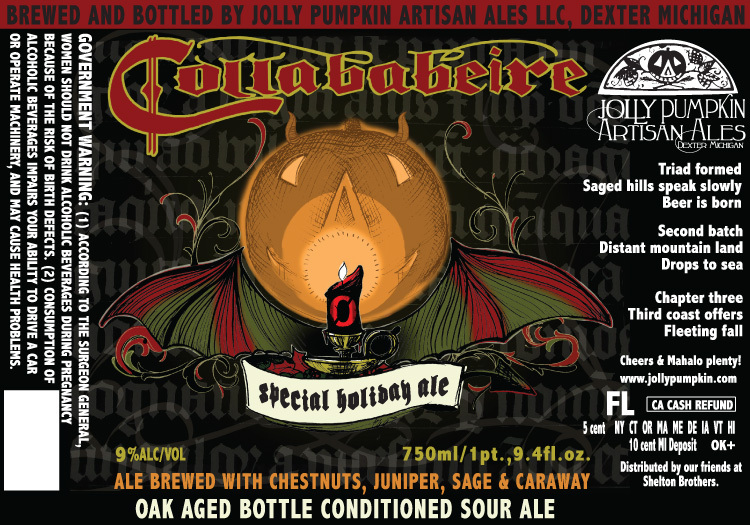 A couple of years ago, Stone Brewing Co., Nøgne Ø, and Jolly Pumpkin got together to brew Special Holiday Ale in Escondido. After that the same recipe (which used chestnuts, juniper berry, white sage, caraway seed and rye malt) was brewed at both Nøgne Ø and Jolly Pumpkin’s breweries. The Nøgne Ø version came out about a year after the original brewed at Stone, and then Jolly Pumpkin version (dubbed Collababeire) was aged in oak barrels and released on a very limited basis earlier this year. From what I’ve heard very few bottle shops in San Diego got this Jolly Pumpkin version when it was first released in the Spring. But now that it’s the Holiday season, it seems as if more is being released from the distributor. Bottlecraft posted on their New Arrivals page that they got some in, and while I haven’t heard about any other shops getting any, I’d be surprised if Bottlecraft was the only one. The Jolly Pumpkin version is a great beer, and if you’ve hung on to the previous two releases makes for a nice tasting of all three together. According to Peter Rowe at Signon San Diego Stone, will be releasing some bottles at 11am on Sunday in Escondido. Rowe doesn’t specify if they’ll be for sale at the Stone Store for take away consumption, or in the Stone Brewing World Bistro and Gardens for on-premise consumption, nor does he elaborate on which version will be available, but regardless, they’re all pretty good. The original Stone brewed version seemed like it had dropped off a bit when I tasted it in the Spring, so I wouldn’t recommend holding any bottles past this Holiday season. 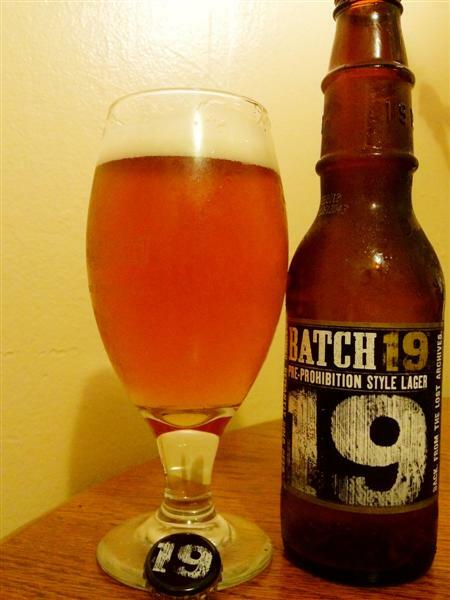 I have mixed feelings about Batch 19, Coors Brewing Company’s Pre-Prohibition Style Lager. On one hand it’s good to see the big beer companies making an effort to make good, flavorful beer. On the other hand I personally don’t want to support the big beer companies at the expense of smaller craft beer companies. If I have the choice of two similar quality beers, one made by a big beer company and the other made by a small, independent craft brewer, I’ll pick the one made by the craft brewer every time. That being said, I was pretty interested in trying Batch 19 when a PR company offered to send me a sample. While beers within the style can vary widely, I’ve enjoyed many of the “Pre-Prohibition” lagers I’ve tasted. Craftsman Brewing Company’s 1903 Lager is one of my favorite beers when I’m in the mood for something on the light and refreshing side. Batch 19 is said to be a variation (due to changes in brewing techniques and availability of ingredients) of a recipe Coors was brewing before Prohibition. Batch 19 certainly isn’t the best beer around, but when compared to the other beers Coors produces now it certainly stands out. It has a toasty malt sweetness with a crispness that makes it easy to drink. At 26 IBU the hops don’t really stand out, but they do restrain the sweetness a bit. That being said, I wouldn’t recommend it over any of the craft beers in the same style, and I’d urge people to support craft brewers over the big breweries when ever possible. Try it if your interest is piqued, but be mindful of who your beer purchases are supporting: a company that has been making bland beer for years and is now trying to capitalize on the popularity of craft beer; or those companies that are making craft beer because it’s their passion and are part of the reason for it’s popularity. Batch 19 isn’t bad, but there are plenty of Pre-Prohibition style lagers made by craft brewers that are better (the aforementioned 1903 Lager being one of them). Batch 19 has been around for a little over a year in a few test markets, and Coors recently expanded distribution into a handful of new markets, San Diego being one of them where if can be found on draft at a few local watering holes (see the Batch 19 beer locator here). While Batch 19 is far ahead of many of Coors other beers in taste, it’s a pretty good beer, not great, but not terrible, it has an off putting marketing feel to it reminiscent of big beer advertising. There’s a romantic story and a fancy website. I was surprised with the bottle the beer came in, for being a draft only release (although bottles may be available in the gift shop at the Coors brewery in Golden, CO) it was pretty fancy with a well designed label, branded cap and what appears to be a custom bottle with “1919” embossed on the neck. Beer Release News from Alpine Beer Co.
Alpine Beer Co. sent out a newsletter this morning with some news about upcoming releases, as well as some not so nice info on a beer that won’t be coming back because of a cease and desist letter from another brewer. Let’s get the bad news out of the way first. We won’t be seeing Ichabod Ale, Alpine’s Pumpkin beer that changes styles every year due to a cease and desist letter from Michigan’s New Holland Brewing which also brews a pumpkin beer by the name of Ichabod. Alpine’s newsletter states, “It seems they Trademarked the name right after we won the World Beer Cup medal for it in 2008. Let’s all let them know what we think of their dirty move.” Last year’s version was a sour beer aged in (white wine?) barrels that was just fantastic. If you’d like to let New Holland know what you think about their C&D letter they have a contact from on their website. 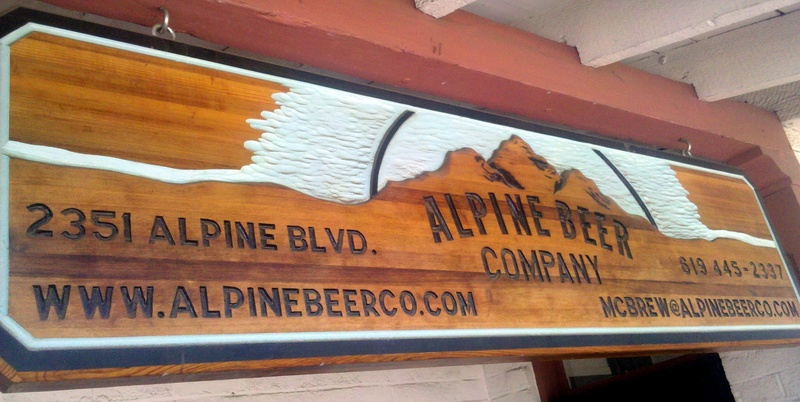 Hopefully the two breweries can work something out and we can get Alpine’s Ichabod Ale next year. Update 2: New Holland posted a message on their Facebook page which Beernews.org has reprinted. Now on to the good news from Alpine. Bad Boy, (Alpine’s “other double IPA”) is being released on draft in the pub and will be available for growler fills at the brewery. Tuesday, September 27th will see the release of New Millenium Pale Ale one of my favorite Alpine beers (admittedly I’ve only had a few pints but fell in love, and then it was gone. Glad to see it back). It too will be draft only, pints in the pub and growler fills at the brewery. Friday, October 7th will see the release of two beers, Whale and Barrel-Aged Odin’s Raven. Whale is a wet hop ale (WetHopAle), and amber brewed with fresh Citra and Simcoe hops. Again, no bottles of Whale will be available, it’ll be on draft in the pub and available for growler fills at the brewery. Barrel-Aged Odin’s Raven on the other hand will make it in to bottles (and won’t be available for growler fills, although there will be a small amount available on draft in the pub). There are only 20 cases available so expect bottle limits, high prices (“The price of the 22 oz. bottles have yet to be determined, but it will be pricey”) and for it to not last long. Also mentioned as being in production but sometime away are two sours, Chez Monieux and Briscoe. And a note on the next sour, it “will involve white peaches and apricots”. Good things are happening at Alpine. They’re getting ready to present their Business Plan for expansion to interested investors. They often post their newsletters to their blog, but this one isn’t up yet (although it may show up there soon). What’s the deal with Fresh Hop Beers? 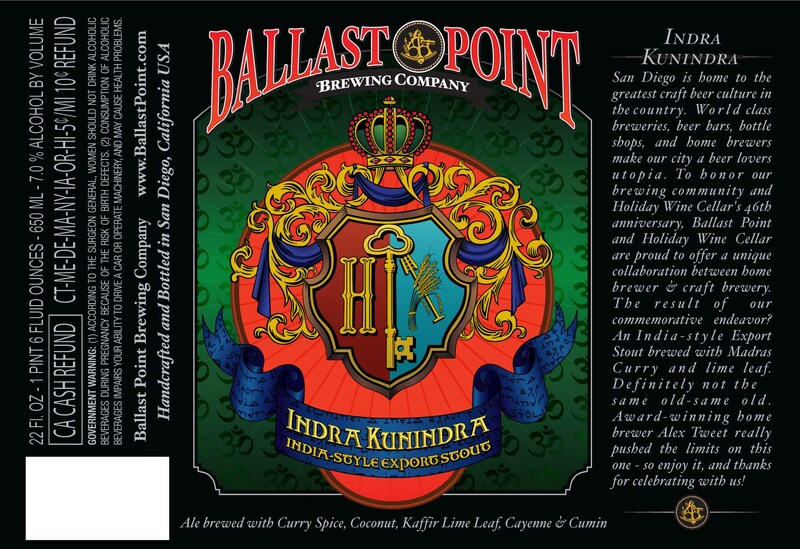 Posted by Jeff Hammett in ballast point brewing co., bars and restaurants, beer previews, breweries, great divide brewing co., hess brewing co., pizza port ocean beach, pizza port solana beach, port brewing co., sierra nevada brewing co.
As we head into Fall here in San Diego the leaves might not change much, but the beers available on beer shelves around the county sure do. Gone are the lighter summer seasonals and out come the darker beers that are more fitting for the Fall season including: Oktoberfest/Märzen and pumpkin pie spiced beers. But there’s one group of beers that comes out in the fall out of necessity, there’s a short window at the end of summer and beginning of Fall these beers can be brewed, these are fresh hop, or sometimes called wet hop beers. To understand the fresh hop beers you have to understand hop production. Hops are an herb that are harvested once per year at the end of summer (technically hops are harvested twice per year, once in the Northern Hemisphere and once in the Southern Hemisphere, but we’re going to ignore the Southern Hemisphere for the sake of explanation). Once harvested hops are delicate and must be used in their fresh form very quickly (which is why not many Northern Hemisphere brewers make fresh hop beers with Southern Hemisphere hops, although Sierra Nevada has done it). In order to brew beer year round most of the hops harvested are dried and formed into pellets or plugs, this allows them to last longer. 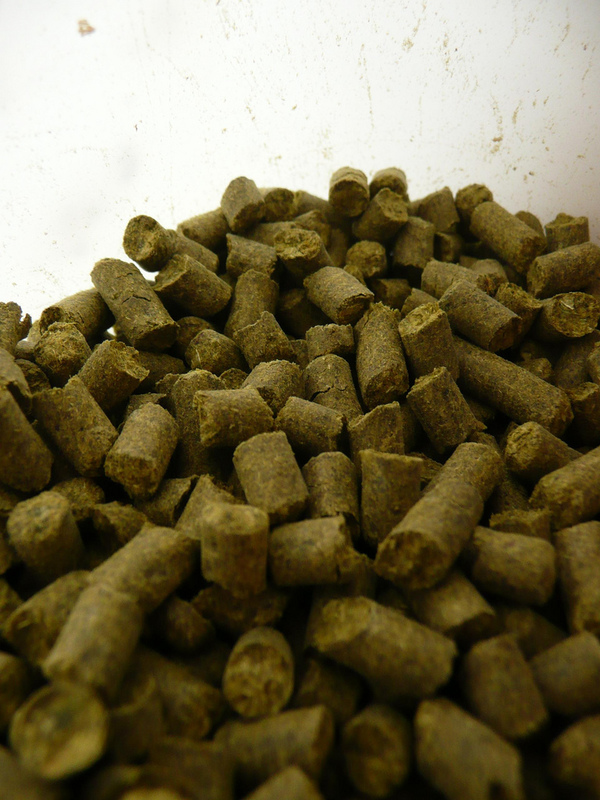 The vast majority of beers are made with these dried hop pellets. Fresh hop beers are often Pale Ales or IPAs, but typically not as bitter as their more common counterparts made with dried hops in order to better showcase the fresh hops which can often be more bright and fragrant. 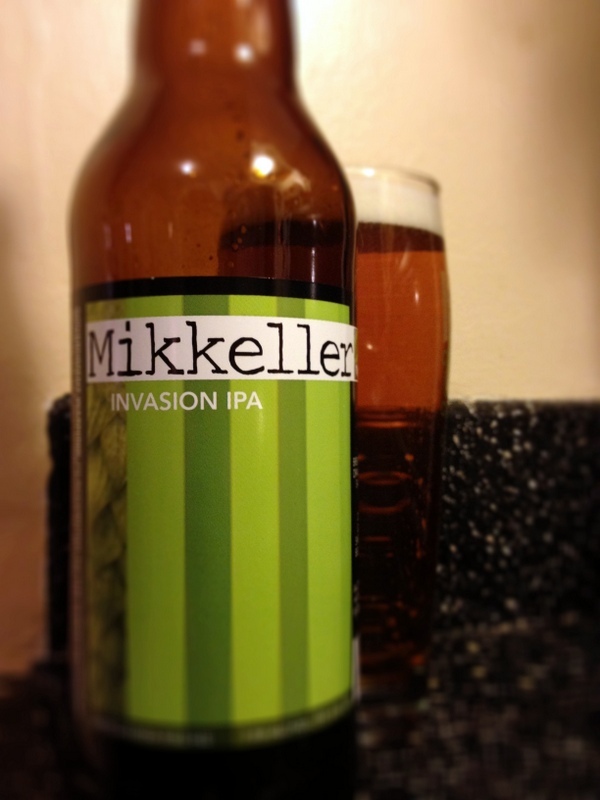 Depending upon the hop variety used the beers can showcase more herbal, floral, grassy and even fruity characteristics. It can be hard to describe and sounds kind of silly, but often compared to traditional beers made with hop pellets these beers just taste more fresh. Locally there are a handful of breweries making fresh hop beers. Port Brewing Company released Fallbrook Estate Pale Ale a few weeks ago, made entirely with hops grown in North County. This one is pretty limited and is draft only and available only at the brewery, it’ll go quick (if it isn’t gone already). Port Brewing Company also produces High Tide an IPA every year. This one does make its way into bottles and hits distribution so it should be easier to find. Check out pictures of Port’s Tomme Arthur’s trip to Yakima, Washington to pick out the hops for this year’s batch. Ballast Point releases their Schooner Fresh Hop Ale 2011 today. It’s a 5.4% ABV American Pale Ale that is only available on draft. It will be at both Ballast Point locations until it runs out, I’m not sure if they’ll be sending kegs out to other bars and restaurants. Hess Brewing Company brewed two fresh hop beers this year, both called Wet Coaster IPA. One uses Centennial and Amarillo hops while the other is a single hop brew using only Crystal hops. The first version was released last week, no word on if they have any left or not as for today (9/22) Hess still has some of the Centennial and Amarillo hopped version of Wet Coaster available, and they’re planning on releasing the second all Crystal version tomorrow. Hess brews in small batches so check with them before hand to see if it’s available before making a special trip. The Pizza Port brewpubs often brew fresh hop beers. Get Wet IPA is at Pizza Port Ocean Beach, Low Tide a Pale Ale is at Pizza Port Solana Beach and Plant to Pint made with fresh Centennial, Cascade, Amarillo, and Simcoe is available at Pizza Port Carlsbad. Fresh hop beers from Sierra Nevada, Great Divide and others usually make their way to San Diego in bottles, just make sure to drink them fresh like they’re intended to be had! 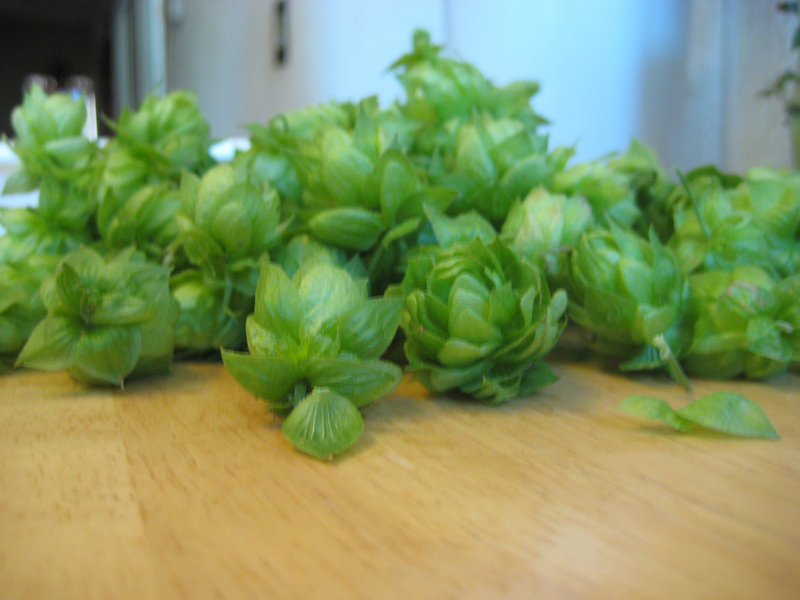 A note about the term “wet hop” and the process of “dry hopping” beers. Dry hopping means adding hops (in any form, fresh, dry, pellets, etc) to the beer after the boil while it is fermenting. This is done to add hop aroma. The term wet hop typically just refers to beers made with fresh hops. A fresh hop beer can be “dry hopped” with fresh hops, and some brewers choose to use the term “wet hop” instead of “fresh hop”. Kinda confusing ain’t it? Got any questions about fresh hop beers? Leave a comment below and I’ll do my best to answer them. Posted by Jeff Hammett in beer previews, breweries, stone brewing co.
Stone Brewing Co. just sent out release details about sales of the very limited first release in the Quingenti Millilitre series, Ken Schmidt / Maui / Stone Kona Coffee Macadamia Coconut Porter Aged in Bourbon Barrels. Due to the limited number of bottles and expected high demand bottle purchases will only be available through a raffle. $1 raffle tickets will be sold through Brown Paper Tickets. Winners of the raffle will be able to purchase bottles in person at the Stone Company Store for $25 plus tax + crv. Raffle ticket proceeds will benefit the Escondido Creek Conservancy and Interfaith Community Services. Details about the drawing and release can be found here.